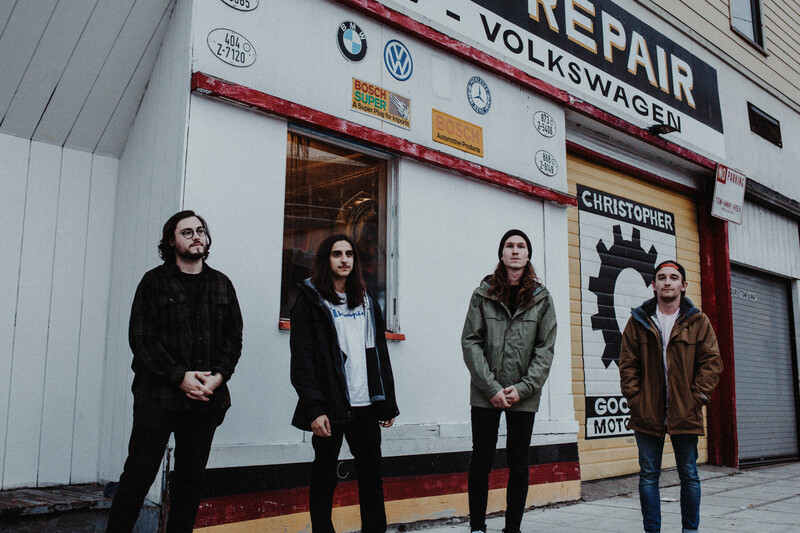 Homesafe are here with their first single and video through Pure Noise Records. We're delighted to premiere their first single and video that they've released through Pure Noise, 'Vanilla-Scented Laser Beams'. The video is part music video, part engrossing mini-film. Also, they are all inexplicably playing in skin-tight latex suits? What's not to like?! Wanna know what 'Vanilla-Scented Laser Beams' is all about? In the band's own words- "'Vanilla-Scented Laser Beams' is a fun, out of the gate, ice-breaker for the album. It’s about a moment of happenstance in which you meet someone and are caught off-guard by the way they make you feel. Whether it’s only for that moment, or goes beyond it, it’s something you feel the upmost need to explore." Speaking about the signing Homesafe have shown a lot of excitement, stating “It is great to say that we have joined the Pure Noise family. We wholeheartedly believe in their passion and support of music. We have just begun recording our first full-length record that will be released through Pure Noise Records in the Spring or Summer of 2018. Thank you to everyone for the continuous support. We can not wait for the future of this band. We’ve been waiting a long time to bring these songs to life and we can’t wait to share them with the world. We love what we created. This record means everything to us." They've also announced their debut album 'ONE' is being released through Pure Noise Records on June 29th. Our debut full-length album, ONE, comes out on June 29th. Homesafe are also set to head over to the UK next month to play Slam Dunk, announced last week as the final additions to the 2018 festival lineup.